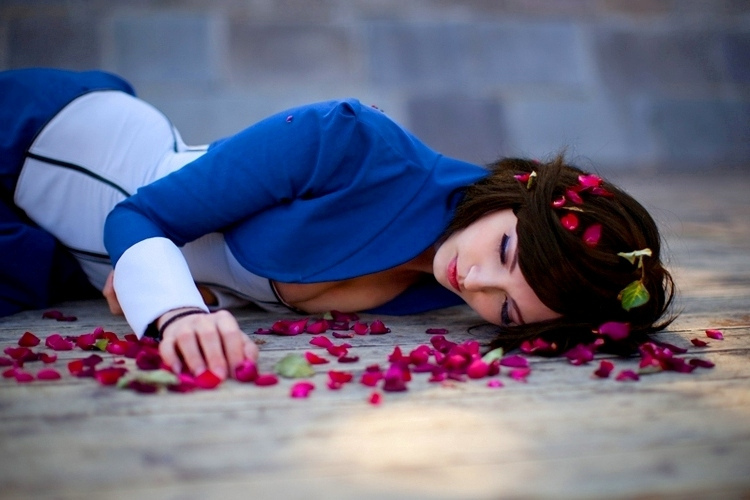 You'd almost believe that this BioShock Infinite cosplayer stepped out of a screenshot. two images to look at. In the game itself, the player, taking on the role of Booker DeWitt, must rescue Elizabeth from the floating city of Columbia. Ormeli has said in the past that while she was a big fan of the previous BioShock games, she didn't feel like they contained a whole lot of cosplay potential for her. BioShock Infinite, on the other hand, has the lovely Elizabeth, whose look Ormeli has replicated with impressive precision, helped in no small part by the fact that her face isn't a million miles away from Elizabeth's either. Ormeli has also included what she thinks is a possible fate for Elizabeth, namely, that Booker is unsuccessful in his rescue attempt, and Elizabeth meets an untimely end. I wouldn't be surprised if this really is one of the possible endings in the game, not after the "bad" endings you could get in the first two BioShock games. Besides Elizabeth, Ormeli has cosplayed as characters from Dead Space 2, strategy game Disciples 3, and even the cult 80s animated movie Flight of Dragons. You can see more of her photographs on her Flickr page.